Dynamix Technology Ltd is an authorised distributor of the IPC. As a trade association, IPC was established as a resource to increase competitiveness of companies in the electronics manufacturing industry. To meet this objective, IPC develops the tools which enable companies to keep up-to-date with the latest manufacturing technologies and trends. 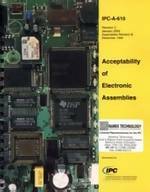 The IPC represents every facet of the electronic interconnection industry: printed circuit board design, fabrication and assembly. We supply the complete range of IPC standards, guidelines, technology reports, training videos and CD-Roms. The most popular items are held in stock for immediate delivery to the UK, Republic of Ireland and mainland Europe. IPC Training Materials including videos, interactive CD Roms, DVD's and inspection materials. Many now available with training certification. Also information on IPC certification courses. 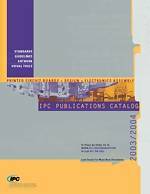 Download the latest publications & training catalogues along with our price list. Latest news from IPC including information on the latest documents releases and DVD's.